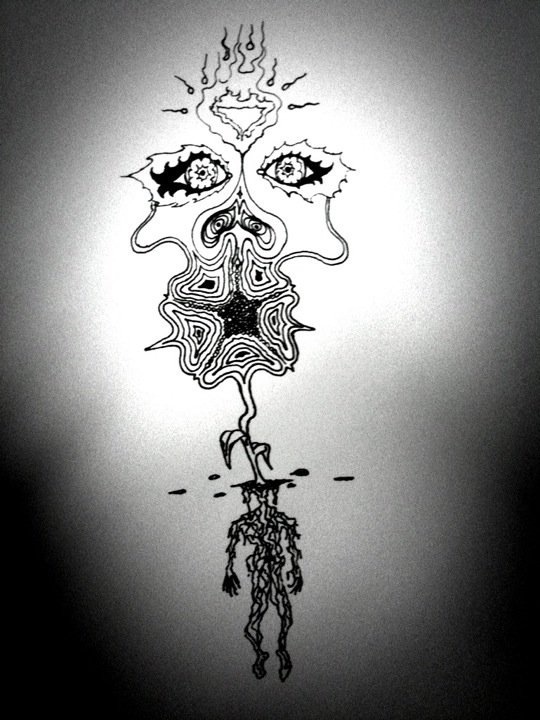 I drew this about three years ago, after coming out of a pretty intense meditation session. I had no idea what it was at the time. I’ve been poring over the Sefer Yetzirah lately and, suddenly, I understood, I saw. It was a real “eureka” moment. I’d drawn a version of the Tree of Life. The realization was awesome. I’ve always loved this picture, but it’s so much more now: it no longer represents a simple, random idea, but has become a meaningful expression, an understanding of wisdom, the useful application of a gift.